Rain chains guide the rain water visibly down chains or cups from the rain gutter to the ground. 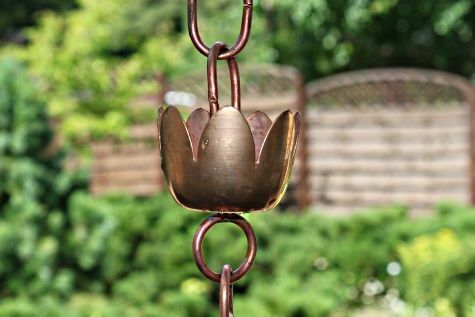 Rain chains transform a plain rain water down spout into a beautiful water feature. 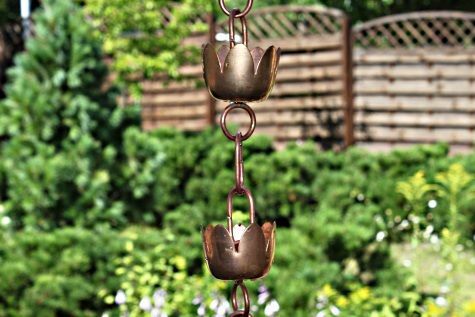 This rain chain is a collection of 18 lily shaped cups connected by chain links. The design of the holes in the bottom of the cup creates an extremely relaxing sound when water flows down. This rain chain comes ready assembled. 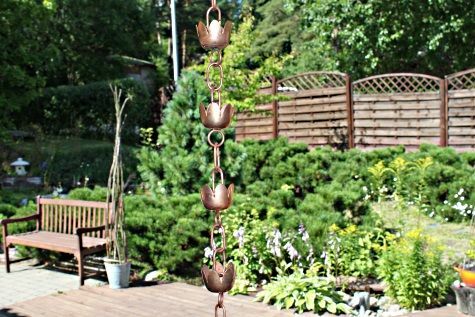 Do you want to fit this rain chain to a standard size downspout? The rain chain starter section is perfect to be placed at the start of the rain chain and guides the water from the larger opening to the smaller diameter of this rain chain. You will earn 46 points which is the equivalent of €4.60 when ordering this product.